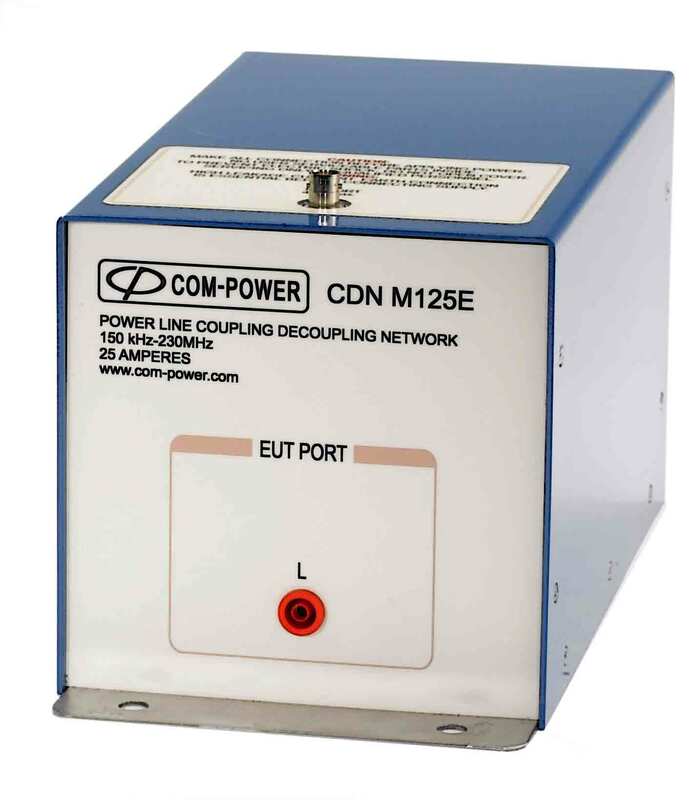 Coupling Decoupling Network CDN-M125E is a standard M series CDNs have a current rating of 25 Amps with a single conductor power cable. This CDN covers the frequency range of 150 kHz - 230 MHz. This Coupling Decoupling Network is recommenced for all power supplies connections. The disturbance signals are coupled to each conductor in the supply lines according to EN 61000-4-6 standard.